Bios — Foothill Resources, Ltd.
Dr. Julia G. Costello, a member of the (Society) Register of Professional Archaeologists (ROPA) since 1980 (then SOPA), is a recognized authority on cultural resource management of historic sites in the Western United States and has worked with CRM issues in underdeveloped countries. She has extensive experience with a wide range of archaeological sites, and also worked with evaluating and preserving historic buildings and structures, and with traditional cultural properties. She has published widely on her work with Spanish Colonial and Gold Rush-period sites, with mining and industrial sites, and with sites associated with Chinese, Japanese, and Italian occupations. Dr. Costello received her M.A. in prehistoric archaeology in 1972 from the University of Denver and then spent two years excavating Bronze, Iron-Age, and Roman sites in Lebanon. She came to California in 1974, where she received her Ph.D. from the University of California at Santa Barbara in 1990. Dr. Costello served over five years on the California State Historical Resources Commission, one of these as its Chair. She served on the Board of Directors and then as President of the Society for Historical Archaeology between 1985-1992, and as President of the Society for California Archaeology from 1994-1996. She served on the Ethics Committee of the Society for American Archaeology. 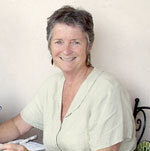 In 1994 she developed a National Historic Register program for the US Agency for International Development in Jordan. Dr. Costello has represented the United States on the International Committee on Archaeological Heritage Management, of the International Council on Monuments and Sites (ICOMOS). Julia is co-author of The California Missions: History, Art, and Preservation, an award-winning book published by the Getty Conservation Institute. Judith Marvin, historian and architectural historian, has been actively involved in historic research since 1977. Obtaining a degree in History from University of California, Berkeley, she served for eleven years as curator and director of the Calaveras County Museum and Archives and since 1983 as a partner in Foothill Resources, Ltd. Ms. Marvin has served as historian for a wide range of cultural resource projects, producing both site-specific and overview histories, and conducting extensive documentary and oral history research for federal, state, county, city, district, and private projects. Included among these were historical reports and evaluations of numerous cabins, historical sites and resources on the Stanislaus National Forest, Sierra National Forest, Eldorado Forest, Toiyabe Forest, and Lake Tahoe Basin Management Unit, as well as numerous other roads, ditches, trails, mining, and agricultural sites in the California foothills and Sierra Nevada. She has completed contextual histories for several water-related projects for Pacific Gas and Electric Company, Calaveras County Water District, and irrigation districts in Stanislaus County. For the Bureau of Land Management (BLM), she co-authored a National Register of Historic Places (NRHP) nomination for a historic trail and a California Register of Historical Resources (CRHR) nomination for a convict labor camp. Ms. Marvin has completed over twenty Federal Highway Bridge Rehabilitation and Replacement (HBRR) studies and numerous historical and architectural studies for the California Department of Transportation (Caltrans). For the National Park Service (NPS), she has completed five historical studies for Yosemite National Park. Studies for the California Department of Parks and Recreation (DPR) include reports for Sugar Pine Point State Park, Columbia State Historic Park, and Plumas-Eureka State Park. Terry L. Brejla works from Foothill’s Sonora office. 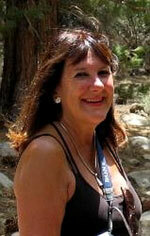 She has worked in cultural resources since 1985, beginning as a research assistant and editor. She has participated in historical resources inventories for city, county, state, and federal agencies in northern California, primarily in Tuolumne, Mariposa, Stanislaus and San Joaquin counties, as well as Nevada. She has recorded buildings and conducted extensive archival research using official records to establish historical context, ownership, occupation, and land-use history. She has co-authored or edited numerous architectural survey reports, contextual histories, state historic resource record forms, and publications for cultural resources management firms. She has a strong interest in 19th and early 20th century domestic architecture, and serves on the Tuolumne County Historic Preservation Review Commission.